ZeroNeuf’s Ariège Pyrénées ride pays homage to the region’s rich history and incredibly varied terrain. The route takes you along stunning river valleys, through medieval villages, past Cathar châteaux, over rolling foothills and up into the majestic high mountains. Think undiscovered and different. ZeroNeuf – The Pyrénées Cycling Retreat – is a fabulous base for cyclists but also one for their families. They ensure there are ample facilities to entertain both the riders and non riding partners and families. We leave from our doorstep and ride out along the gorgeous vallée de L’Hers, the imposing grandeur of the high mountains in panoramic view the moment you clip in. 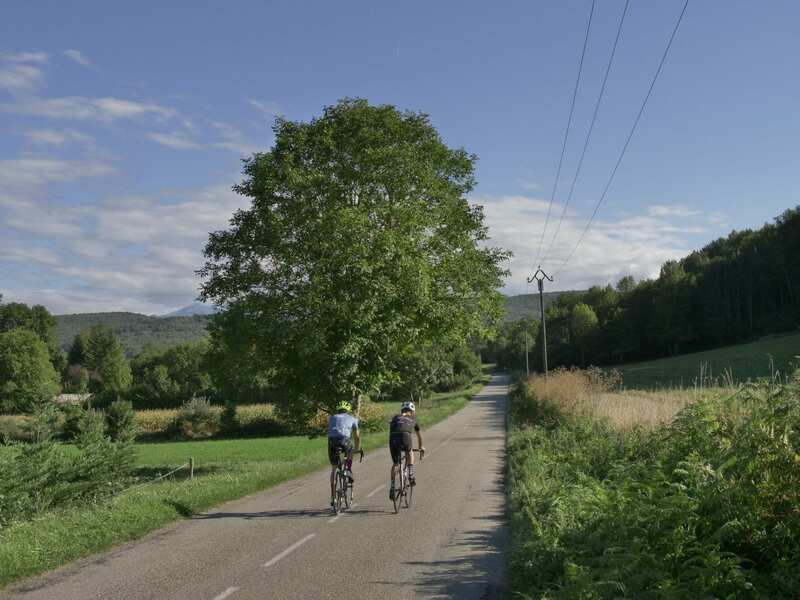 We ride due south in the direction of Foix and the first 30 km of the day’s ride are a perfect mix of flat and rolling roads. En route, we give the legs a reminder that the day’s terrain will soon rise high above sea level as we crest two 500 m cols, the Col de Calzan and the Col de Py. Both climbs are intrinsically linked with the Maquis resistance fighters of WWII and a humbling reminder of the sacrifices they made for the freedom of others. The amazing Château de Foix comes into view as we reach the outskirts of the town and we are soon winding our way through its medieval streets and making our approach to the day’s first major climb – the Col de Péguère. The side we climb is not to be mistaken for the road used in the Tour de France – that’s the viscious Mur de Péguère and we save that for another day. This ascent is longer and the average gradient far more forgiving. The climb can be split into three distinct sections; first up is a fairly sanguine 10 km along the vallée de L’Arget and an opportunity to chat and enjoy the surrounding countryside. The second section is the toughest and the average kicks up above 7% for the next 4 km. The gradient is taxing but never a suffer fest and it is important to reign in any desire to push on at this point as we’re only now starting the day’s real climbing. The climb has several markers along its route and first up is the Col de Marrous at 1,000 m. There’s a lovely auberge nestled in the trees where we can refill any bidons for those running low. We push on through the dense forest where deer and wild boar roam and as we continue our upward trajectory and the trees begin to thin out, we get our first glimpse of the magnificent views stretching out across the Garonne flood plains towards Toulouse. The gradient has eased right off now and the average is little more than 2.5%; it’s a big ring finish for those feeling strong. As you crest the summit you are rewarded with what I think is one of the best views in the whole of the Pyrénées – a mind-blowing view across the Massat valley where, on a clear day, the whole range appears visible. We’re up at 1,375 m now and ride west along a ridge past the ancient Laffont tower towards our next marker, the Col du Portel. At 1,432 m there is little in the way of climbing as we pass the summit marker and head down towards the village of Biert. 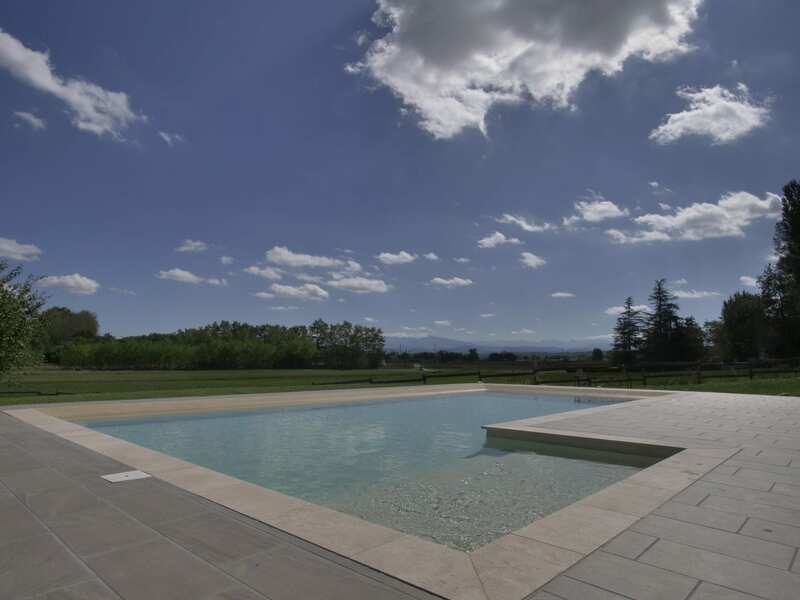 The views are incredible; to the right you can see for miles as the mountains give way to plains and to the left the majestic high peaks of the Pyrénées and the Spanish border beyond. Passing the summit of the Col de la Crouzette, we continue our drop into the valley below. A word of caution – the middle section of the descent is narrow and in sections very steep – descend with caution. As we reach the village of Biert, we prepare ourselves for the day’s next ascent – the Col de Saraillé. We are very much on roads less travelled now as we head deep into the Massat valley. This climb is everything I love about riding in this part of the Pyrénées – undiscovered and different. The road is narrow with little or no traffic, the sound of mountain streams and birdsong your only company – it’s a real escape. The climb twists and turns through ancient forests, a great shade sail on hot days and the gradient is steady. As we reach the small hamlet of Le Saraille, there’s a break in the trees and the higher peaks show themselves as we close in on the summit. At just over 900 m and a mere 356 m height gain, the climb is a test for the legs but nothing more. The descent into the valley floor below is technical but opens up onto a glorious balcony at Camp de Caou and the old church in the hamlet of Coste sits in a glorious spot looking out across the Garbet valley below. Back on the valley floor we head towards the old spa town of Aulus-Les-Bains. Best known for its thermal springs, spa complex and several wonderful Belle Époque buildings, it’s the perfect place to stop for a shot of caffeine. Next up it’s the Col d’Agnès. From Aulus, it’s a tough climb and the first half particularly so with testing gradients above 8%. The road initially follows the ravine carved out by the river Garbet and for the first five kilometres the bends are long and the grandeur of the high peaks we are heading for dominate the horizon. The sound of cascading water is a welcome distraction from the testing ramps. At the 5 km mark the first of the hairpins begin and height is gained quickly. The reward is a stunning stretch of road around the 7 km mark that hugs the mountain side giving views of Aulus in the valley bottom and the Col de Latrape and Guzet Neige high up on the other side. As the increasing altitude takes the trees out of shot, the vista becomes more impressive with the Pic de Certascan dominating the horizon and the border with Spain. The summit is reached at 1,570 m and a chance to revel in that wonderful feeling you get when you summit a new climb. 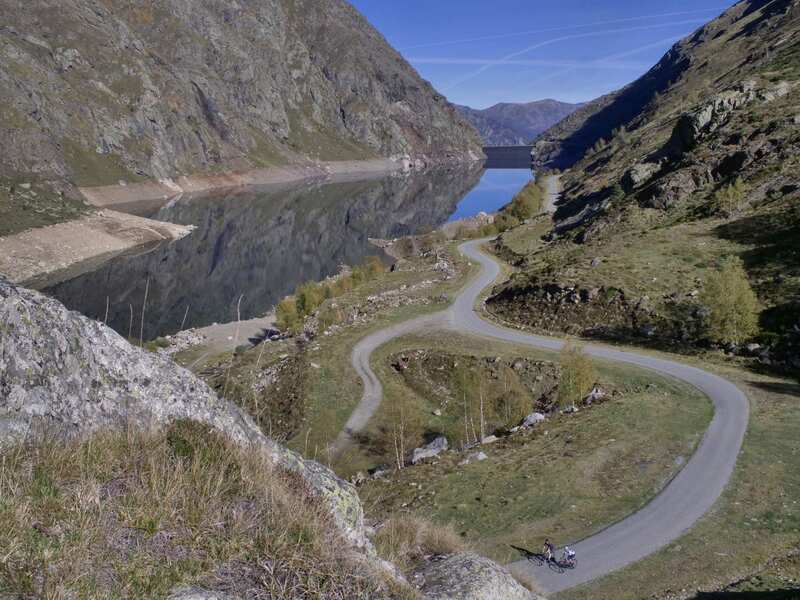 You can now enjoy a long and super fast descent, flying past the Etang de Lers to the village of Massat before the day’s final climb, the Col de Port. We normally make time for a quick stop in the delightful village of Massat, everyone buzzing after the descent – coffee not needed here. Despite some steeper ramps on its early slopes, the Col de Port is the perfect way to finish the day’s climbing. The steady gradient beyond the small hamlet of Espiés allows you to settle in and spin your way up the mountainside. 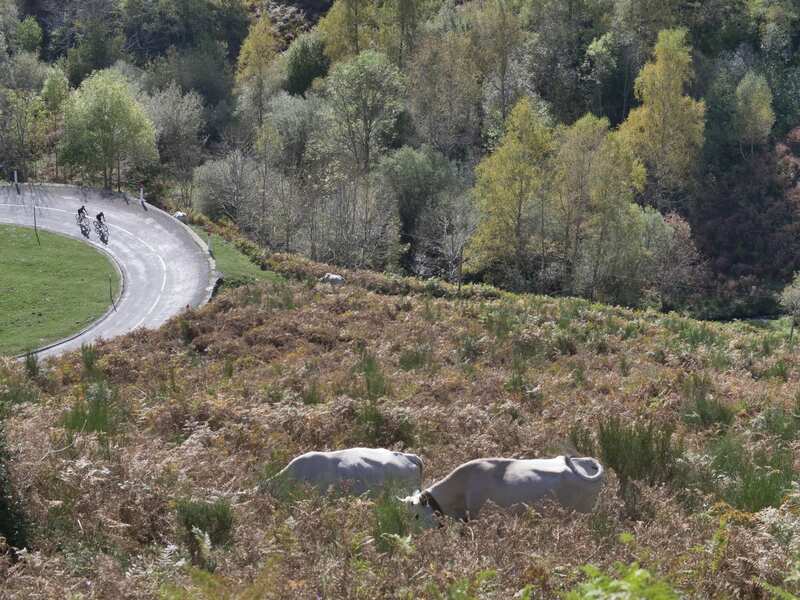 With plenty to keep your mind occupied, from the old stone houses dotted along the roadside to the glorious views back across the valley, you’d be forgiven for thinking that riding cols is easy. The summit can be viewed from some way down the mountain but the easy gradient means the psychological torture sometimes felt in these situations is held at bay. The final 2 kilometres are fast and there’s a welcoming auberge at the top with a lovely terrace offering spectacular views down the valley which we will soon descend to Tarascon. The top section of the descent provides photo perfect views and it’s worth knocking the speed off to enjoy them and get some pictures on your phone. On reaching the town of Tarascon the tough stuff is done and it’s a largely downhill run to Foix and for anyone with tired legs, our support car can be on hand to take you back to base. For those riding, it’s steady back to ZeroNeuf. Whether you ride back or drive back a dip in the pool and a craft beer in the bar awaits. 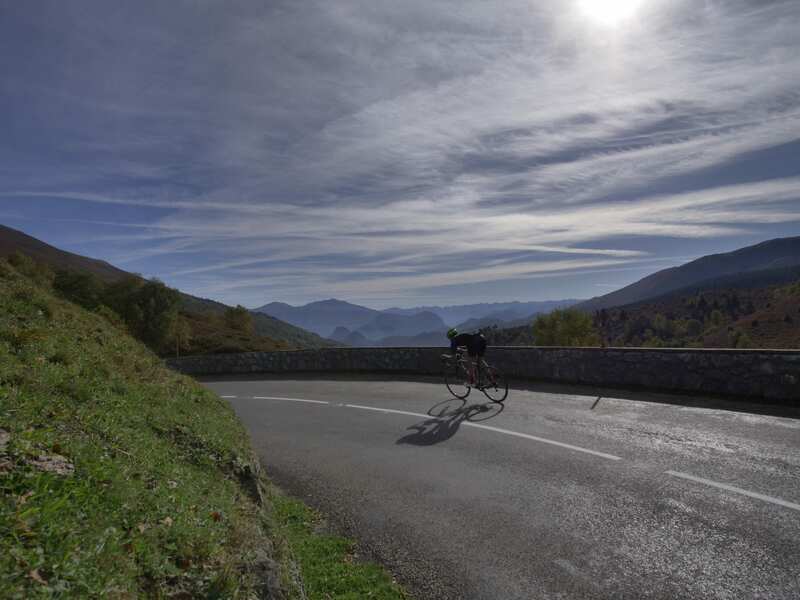 Our Ariège Pyrénées loop is a tough day on the bike but it’s a real favourite amongst guests and a hugely rewarding experience. The amazing thing is it’s merely scratching the surface of the seemingly endless quiet and maintained road network the region offers cyclists (of all abilities and ambitions). 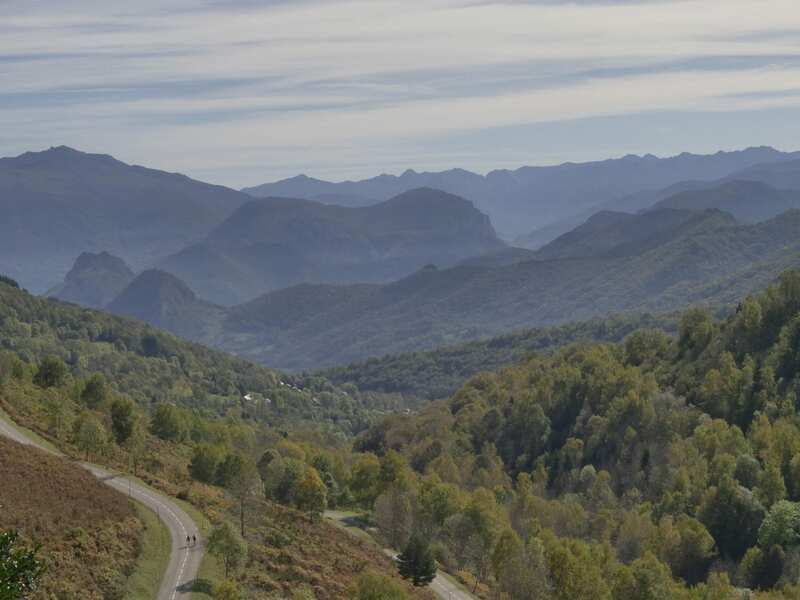 It’s surprising how few people have heard about the Ariège, let alone ridden here and we are intent on changing that. You can choose from one of our tailored cycling escapes, we can build you a custom trip or you can stay and ride on your terms. We can look after groups, families (childcare is available on site), couples and singles on a fully catered, bed & breakfast or self-catered basis. We welcome cyclists of all abilities and ambitions and we adopt a strict no ‘rules’ policy. Our qualified ride leaders can guide you and high quality bikes (Giant TCR Advanced Pro Di2 Disc) are available to rent on site.